Woodinville Locksmith Pros - The Best Lock & Key Services! Our lock technicians provide the best locksmith services in town and we are open 24 hours a day, 7 days a week! We guarantee that all of our technicians are certified lock professionals. If a new lock comes out, we make sure that our lock technicians learn its inner-workings at once. Our locksmiths are professionals in automotive, residential and commercial locks. Woodinville Locksmith offers competitive prices on all types of services and top of the line security products. If you find a better price on a safe or lock another location, contact us and we will do our best to match that price. You will find a 90 day guarantee on all home security products and services. If something ever goes awry within 90 days, we will go back to your residence or business and repair any troubles you may have noticed. We service Woodinville and all areas close by. 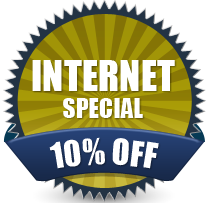 For a special offer, you can get 10% off your services with no catch by locating us on the internet, so don’t hesitate!